On to stop number 8, Indianapolis! We set up our tents and pop-up shop in the hot, hot heat and turned up our music so we could tune out the heat. We held the event at the Martin Luther Kind Jr. Community center in the heart of Indianapolis. They were such great hosts and cooked hot dogs and cold drinks for us and all the participants. It may have been hot and humid but this stop truly was special due to the volunteers and followers of Together We Rise that came out and volunteered their time to help the foster youth in their community. 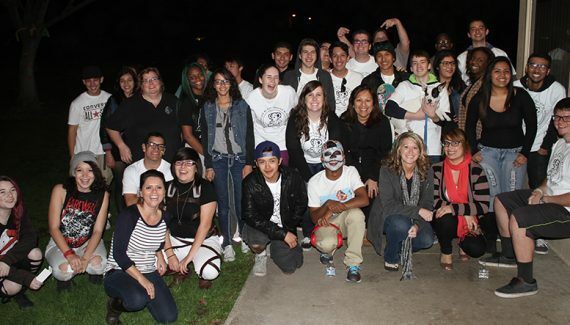 One girl in particular, a former foster youth herself, came to help us throughout the event. Not only did she touch our hearts by just showing up but by actually knowing the foster youth participating in the event from sharing group homes and foster parents. It was truly special to see such a wonderful moment of a former foster youth continuing to help the youth still in a turbulent situation. She is such a strong and amazing character and we are truly grateful for people like her on our team. We are also grateful for our loyal volunteers who show up whenever we come to their neck of the woods. We had other volunteers who lived within 2 hours of the event and still decided they wouldn’t miss it and came out to help! This stop was a heartfelt and humbling experience. Just because these children are in foster care, they are not alone and their current situation does not dictate their future. Click here to watch our video from the event!